At Advanced Family Dental, we treat every patient like a member of our family. 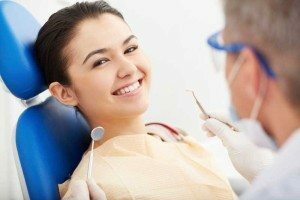 As your dentist in Lakewood, CO, we want to make sure you have a pleasant and enjoyable experience every time you visit our office. Because we believe that regular dental care should be affordable to everyone, we’re pleased to offer these limited time special so you can get the care you deserve with treatment options that fit your individual needs! *Regularly valued at $249, at Advanced Family Dental new patients get a FREE Exam, X-Rays & Consultation with paid teeth cleaning. At Advanced Family Dental, your Lakewood, CO dentist of choice, we understand that choosing a dentist is a big decision; that’s why your first exam is on us! Call 303-985-8000 to Schedule Your FREE Appointment Today! We want you to have an opportunity to visit our dental office, get to know our dentists and professional dental care team and experience for yourself why so many satisfied patients keep coming back! Simply complete the quick sign up form below or call 303-985-8000 to schedule your appointment and get started today! Be sure to mention this special offer when you speak with our representative. Valid for cash payments only. Act now – offer valid through Sunday, April 21, 2019. Offer valid for new patients 13 or older. Not valid with previous or ongoing work. For legal reasons, this offer may not be combined with any dental insurance benefits. 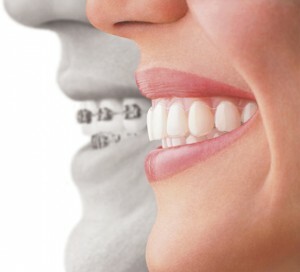 Offer can not be combined with other special offers or dental service discounts. Offer valid through Sunday, April 21, 2019. *Some restrictions may apply; please read all terms and conditions below. With Invisalign, you don’t need to worry about the gum and mouth irritation other teeth-straightening methods can cause. Sure, there are other options out there for straightening your teeth, but none offers the level of comfort, convenience and confidence that you’ll find with Invisalign. And no matter what stage you’re at in life, you’ll appreciate how our cutting-edge approach to treatment has minimal interference in how you live, but has a significant positive impact on how you look and feel about yourself. With Advanced Family Dental, your Lakewood dentist or choice, straightening your teeth with Invisalign Straighteners has never been easier … or more affordable! For a limited time only, we’re offering a $500 Discount! Simply complete the quick sign up form below or call 303-985-8000 to schedule your appointment and get started today! Be sure to mention this special offer when you speak with our representative. Act now and save $500 on Invisalign Teeth Straightening.– offer valid through Sunday, April 21, 2019. *Offer valid for new patients 13 or older. Not valid with previous or ongoing work. For legal reasons, this offer may not be combined with any dental insurance benefits. Offer can not be combined with other special offers or dental service discounts. For cash payments only. Offer valid through Sunday, April 21, 2019. Schedule Your Appointment With Advanced Family Dental Today!